One of the best fundraising ideas is to organise a foreign coin collection – here you can collect people’s unwanted foreign coins and notes and then get us to exchange these for cash for your school, PTA, charity or club. You’ll be amazed at how many of your followers have foreign coins just sitting around at home. These coins can easily be transformed into Sterling you can use and it’s Cash4Coins that can arrange this for you. We offer expert help and advice for any charity, school, hospital or museum looking to quite literally cash in on the abundance of foreign coins out there. As banks and bureau de change operation will not exchange foreign coins back into sterling it means that most people have a pot of foreign change lying around their home or office. This currency is basically worthless, especially when you think that most people never bother (or forget) to take it away with them. This is why organising a foreign coin collection is one of the best fundraising ideas. Especially in tougher financial times, it’s harder to get people to donate. However, the difference with a foreign coin collection is that people usually don’t mind donating what is just leftover shrapnel. This means that you can take advantage of the foreign coins for your fundraising. Many organisations just like you benefit from collection foreign coins everyday – don’t miss out. The best fundraising ideas are those that you can use time and time again. The great thing about arranging foreign coin collections is that you can run this type of event throughout the year. In fact, the best time is after the school holidays when everyone has returned from their foreign holidays. Strike whilst the iron is hot and you could have a wide range of foreign currencies flooding into your collection tin. And the best bit is that we can exchange them all! Your bank will not do that for you as it is simply not cost effective for them to do so. At Cash4Coins it’s different and we welcome these coins through our doors. If you’d like to organise a coin collection for your school, PTA, hospital, charity or club (or for any cause) then we can definitely help you. Here at cash4coins we’ll count and sort your foreign currency and provide you with a valuation offer to buy your coins. If you accept then we pay you directly – and in the event that you don’t accept our offer then we will return your coins free of charge. Above certain weights we’ll even collect your foreign coins for FREE – please go to ‘How to send us coins‘ for full details. It really has never been easier to get some of the best fundraising ideas around and to get easy money into your charity account. This is why organising a foreign coin collection is one of the best fundraising ideas – it’s fast, simple and effective. 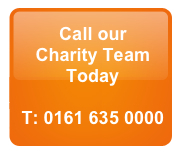 Contact us today for some free help and advice on how to organise a fundraising coin collection.